David McLeod has worked in Aboriginal communications for over thirteen years, producing and hosting both radio and television programs. 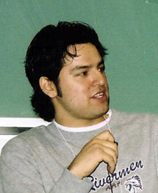 In 2002 he received a Canadian Aboriginal Music Award for his contributions to promoting Aboriginal music in radio. He is currently General Manager of Native Communications Incorporated (NCI), which operates a Manitoba-wide radio network, heard from Winnipeg to Churchill. NCI also produces television programs, with a new reality series currently in the works, which will air on APTN, the Aboriginal Peoples Television Network. David studied broadcasting at the Southern Alberta Institute of Technology in Calgary and communications at Ryerson Polytechnical Institute in Toronto. 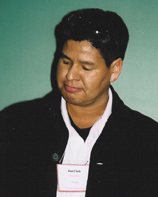 He is a board member of APTN and the Broadcasters Association of Manitoba (BAM). 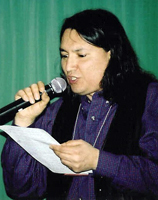 He is also a writer and member of the Winnipeg Aboriginal Writers Collective. He has been invited to read poetry and fiction at numerous venues including the Manitoba Legislature and the Winnipeg Art Gallery. His work has been published in several anthologies such as Let My Drum Be My Heartbeat and the western Canada literary journal Prairie Fire. Born and raised in Fort Erie, Ontario, Greg Hill is a member of the Six Nations of the Grand River First Nation. A graduate of Carleton’s MA program in Canadian Studies, he also holds a BFA degree from the University of Windsor. He is Assistant Curator of Contemporary Art at the National Gallery of Canada in Ottawa, where his work includes Art of This Land, the reinstallation of the Canadian galleries to include Aboriginal works of art, and the collection and display of contemporary Aboriginal art. He is himself a practicing artist and has been involved in multidisciplinary art since 1989. His collaborative performance and installation works have been exhibited across Canada and abroad. He is married and the father of two children. 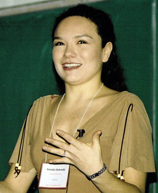 Born to a Saulteaux mother and Israeli father, Jennifer Podemski is an award-winning actor turned producer. She is best known for her roles in Bruce McDonald’s film Dance Me Outside and the CBC TV series The Rez and Riverdale. In 1999 Jennifer partnered with Laura Milliken to form Big Soul Productions, a film and television production company based in Toronto. Since its inception Big Soul has produced over 30 hours of award-winning television programming, short films, and music videos. Notable among its productions is The Seventh Generation, hosted by Jennifer on APTN, which profiles Aboriginal youth role models across Canada. Big Soul has also trained Aboriginal youth, from over 200 communities in the United States and Canada, in all areas of film and television production and media empowerment. Their film Moccasin Flats, a gritty street drama about urban Native youth, was screened at the prestigious Sundance Film Festival. The first program of an intended six-part series, it heralds the first Native produced drama series about Native people in North America. 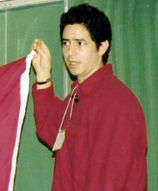 Chris Sutherland (aka CREEALIAS), is a member of the Moose Cree First Nation from Moosonee, Ontario in the James Bay Lowlands. He is an artist/poet, most often expressing his love for Native life on the land, and now in Hip Hop lyrics and music full of metaphor and imagery. He says, “A spiritual struggle has drawn me into seeking out the real in everything, and a need to share what I find has brought me to Hip Hop.” Devoid of pretension, and based on personal experience alone, Chris’s lyrics are intentionally non-judgmental. He is careful not to insult anyone in his writing. Instead, he seeks to be a role model for Native youth reflecting their experiences in his lyrics and performance. 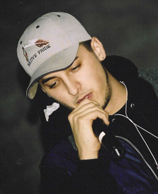 He views his work as part of a movement of “conscious rappers,” providing a positive alternative to the “bad vibes” sometimes associated with rap and Hip Hop music. Collaborating with powwow singer Gitchie Cheechoo, he is helping to forge a new genre of Native artistic and musical expression. 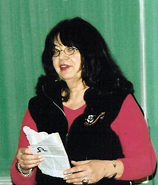 A native of Red Deer, Alberta and a member of the Blood First Nation, Joane studied Fine Arts at the Alberta College of Art in Calgary and received a Bachelor of Fine Arts degree in painting and printmaking in 1977 from the University of Calgary. She has worked professionally as a curator, artist, lecturer, and Native theatre director. 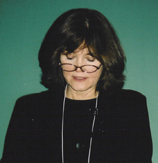 Her writing has been published internationally in art magazines, catalogues, and books. Likewise, her paintings and installations have also found a global audience. Blending spiritual symbolism with political activism, her art addresses, with confidence and humour, issues affecting Aboriginal peoples today. Her work has been featured in many major exhibitions, including Beyond History at the Vancouver Art Gallery and Indigena at the Canadian Museum of Civilization. In 1985 Joane was elected to the Royal Canadian Academy and in 1993 received the Commemorative Medal of Canada for her contribution to the arts. She was profiled in Loretta Todd’s award-winning NFB documentary Hands of History. A major retrospective of her work, Joane-Cardinal-Schubert: Two Decades, toured nationally from 1998-2000. A tireless advocate for Aboriginal artists’ rights, she lives and works in Calgary.